Gotta love the retro carpet!! Affordable condo with priceless views!! Yes! This is the view! 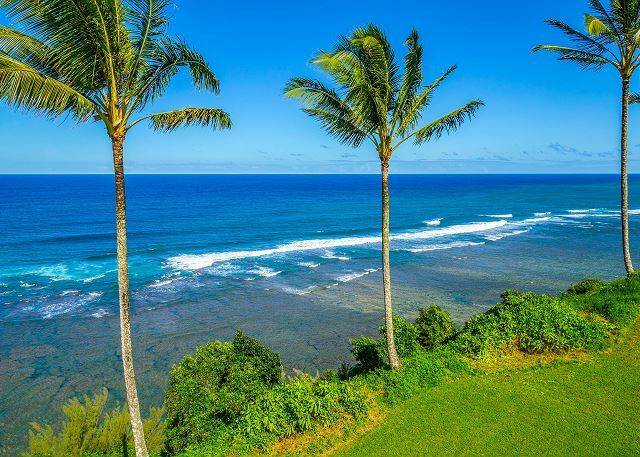 Cozy, quaint, rustic, oceanfront Kauai vacation rental is the perfect couple's retreat. 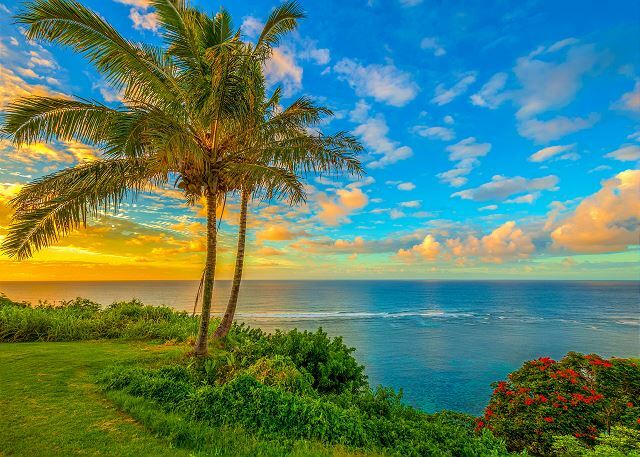 Get away from it all and celebrate life in paradise! 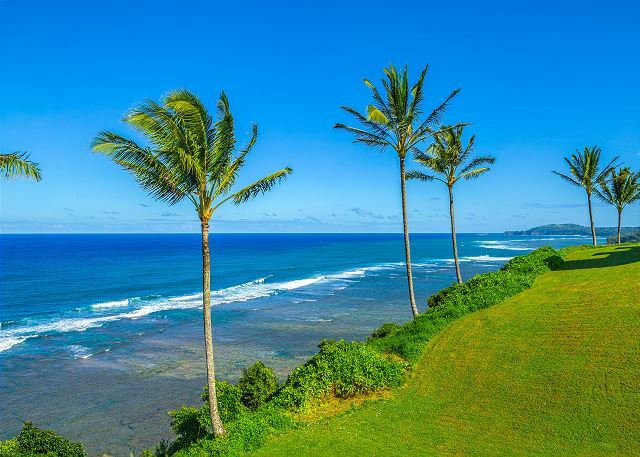 A simple one bedroom, one bath condominium, located atop Princeville’s ocean bluff, with incredible panoramic ocean views throughout plus a private lanai that overlooks the ocean. 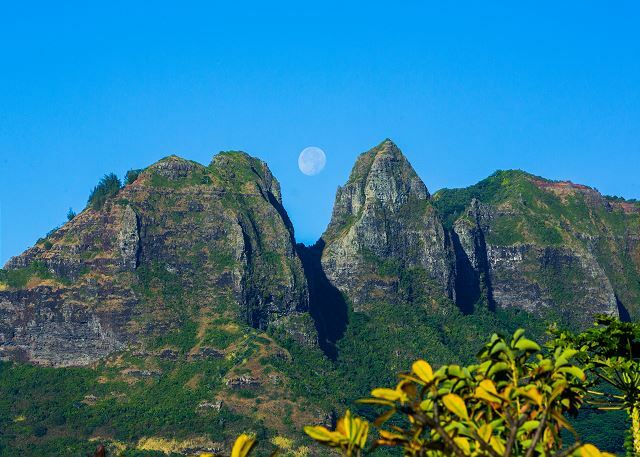 You can see Kauai's largest reef in the waters below. 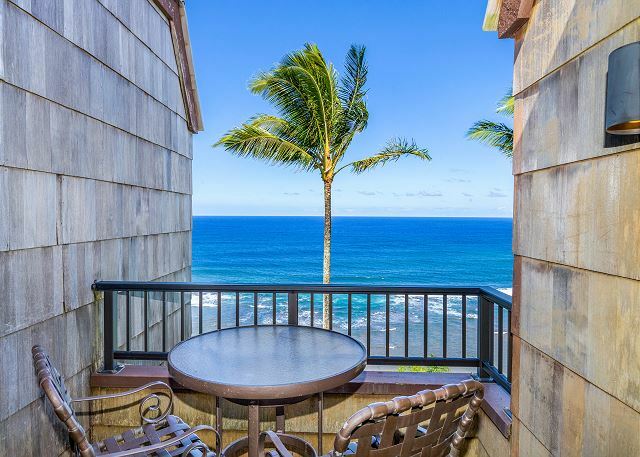 Relax on your lanai and gaze out at palm trees and see the changing colors of the Pacific ocean below. 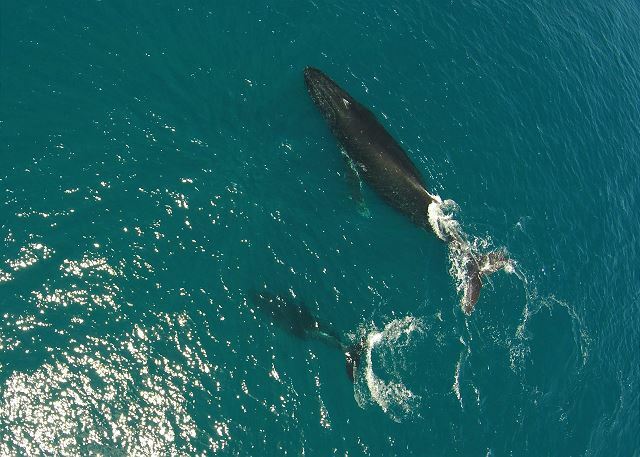 This is a wonderful spot to see whales in season (Dec-May) and see dolphin at play. Sea Lodge Resort has a private pool with ocean views for guests and a coin operated laundry room. 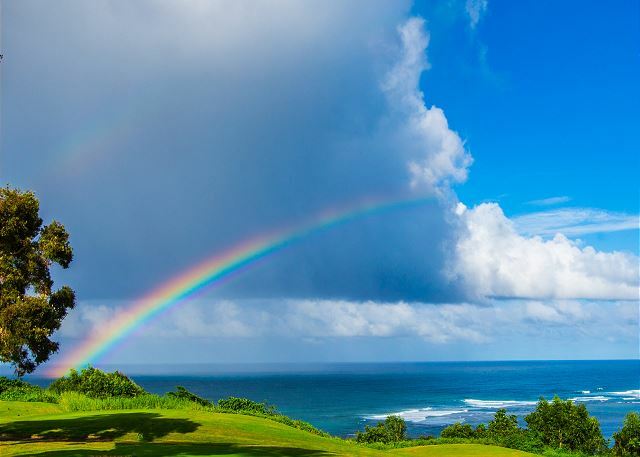 Sea Lodge Resort is located in world famous Princeville, Hawaii, not far from the St. Regis Princeville Resort and close to the Princeville Center, the Makai Golf Club, Hanalei, shopping, dining and many, many incredible beaches. Enjoy nearby surfing, snorkeling, diving, windsurfing, kayaking, helicopter rides, hiking, and horseback riding. Other adventures within a 5-10 minute drive include zip-lining, horseback riding, sea kayaking, river canoeing and helicopter adventures. 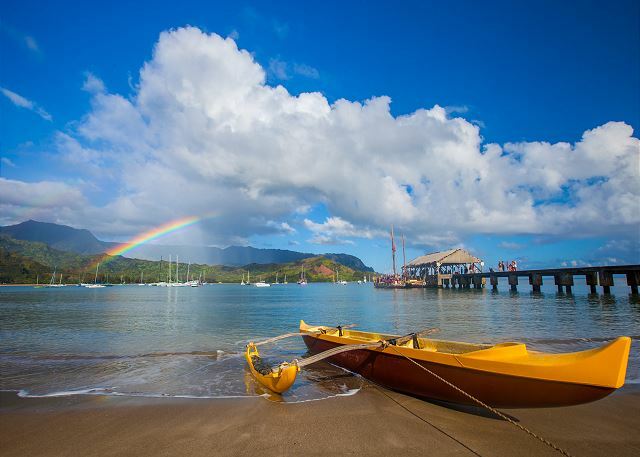 Pamper yourself at the St. Regis spa or take a yoga class in Hanalei. This is truly paradise! 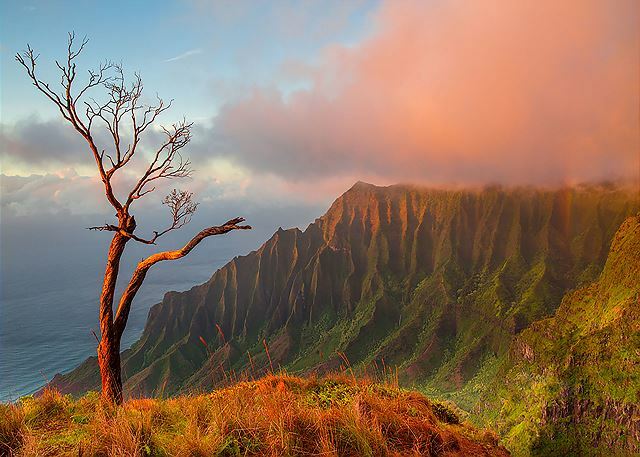 Located on Kauai’s incredible north shore ~ the most beautiful part of Hawaii's most beautiful island. The condo is older but very clean and well maintained. The view will keep you coming back. 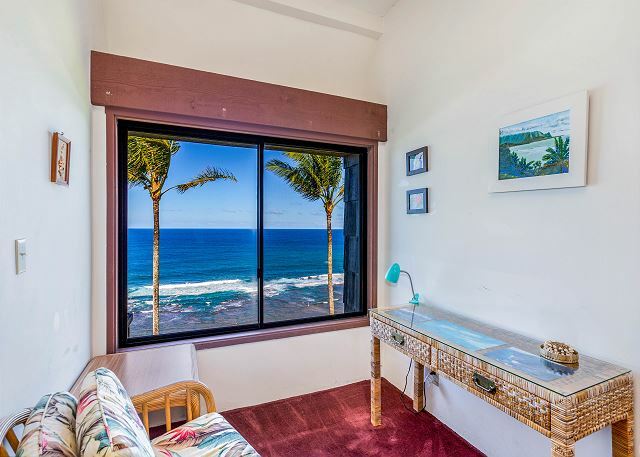 You can view the ocean from the living room, dining room, bedroom and private Lanai. The condo sits on a cliff that overlooks the ocean and the morning sunrises are beautiful. Having morning coffee on the lanai was just fantastic! This year we were able to see whales right from the condo. The bed is very comfy, fans available if you want to use them, but the sound of the ocean waves when you leave the windows open will lull you to sleep! The breeze is soothing. The condo has a nice full kitchen. The restaurants in the area are great if you don't want to cook! Foodland has sushi and good groceries. Several visits to Hanalei gave us a chance to eat at the Hanalei Gourmet Cafe and the Tahiti Nui restaurant, which serve excellent food. The Dolphin's Fish Market is a must for Sushi and seafood chowder to go. The countryside is absolutely beautiful. The location of this condo is perfect. 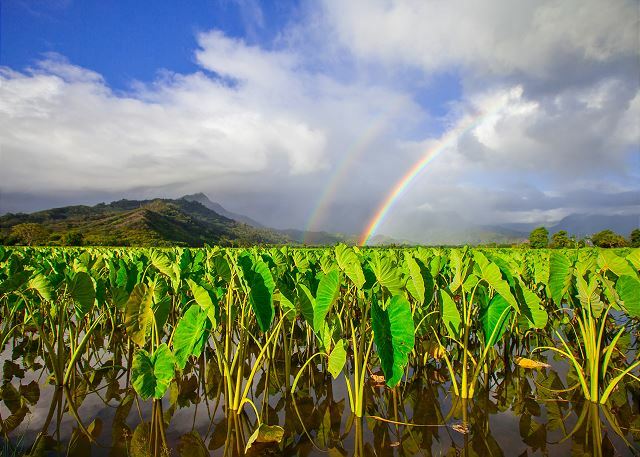 No matter which way you turn on the highway leaving Princeville - you will have great adventures! The best ocean view on the island . the kitchen meet are needs . the bed was comfortable .we appreciated that beach towels, chairs and umbrella where supplies . we where very happy with are stay. The condo is very lovely. It boasts an outstanding view from the lanai. After an 11 hour flight the bed was heavenly. We enjoyed making breakfast every morning and then exploring the island. 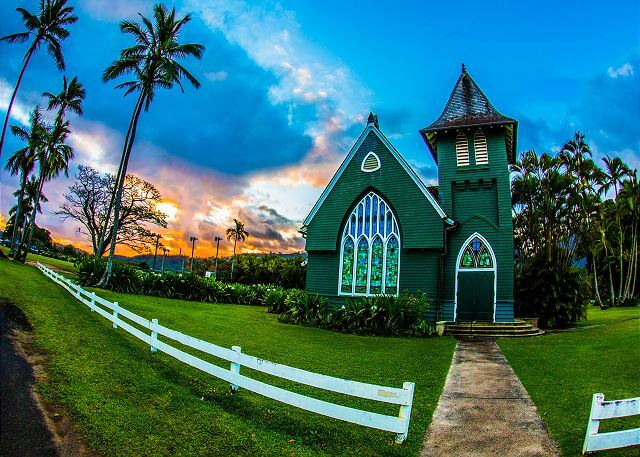 The area of Princeville is close with lots of places to shop and eat.You need to go to Allerton gardens on your stay, I can't stress how magnificent that place was to see. The cost of the condo was great and the location was great.Next time we will come for 10 days so we can relax more. Enjoyed our stay and loved the view and sound of the water. Simple but clean and provides most things needed for a comfortable stay. The only thing I felt it needed was an extra blanket as we like a little fresh air coming in at night but the wind makes it quite chilly. We liked the area and found the whole stay very relaxing. Spectical Condo with amazing view!!! Perfect rental unit for us. After spending 10 nights in Kapaa/Wailua, we loved having three nights at SeaLodge. The Princeville/Hanalei area (even with the mudslide damages) is so incredibly beautiful it warrants spending a few days there. This unit has fabulous ocean views and a very comfortable setup for 2 people. And steps away from the trail to little SeaLodge Beach. Highly recommended. 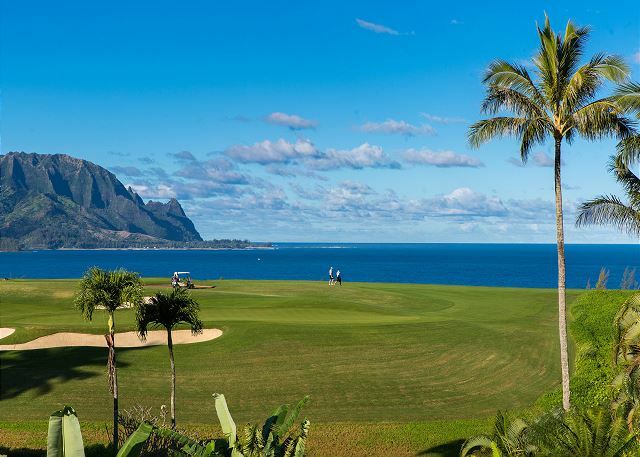 SeaLodge A7 at Princeville - Total Relaxation. I enjoyed a very relaxing 6 day stay at this clean and comfortable condo. Located on the top level of a 3 storey block, it's hard to believe that there's another soul in the world around. The only sounds you'll hear are the waves washing over the fringing reef, the wind and the occasional rooster letting you know he's there. 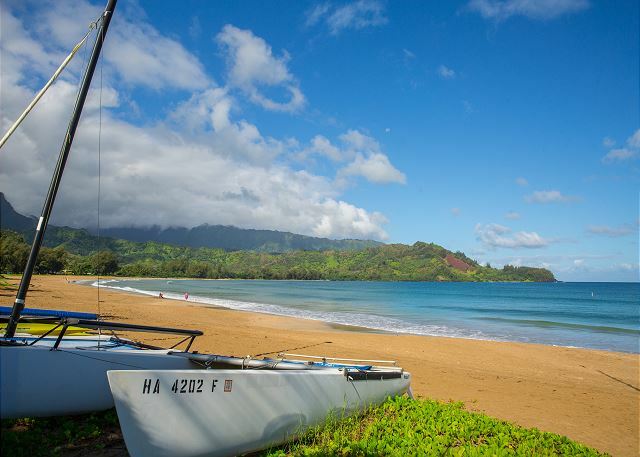 A decent supermarket, a few shops and some restaurants are just a few minutes away in Princeville and the wonderful little town of Hanalei lies just a bit further on. The walking trail to the beach below is quite treacherous, especially after rains. I slipped and almost fell a couple of times before reaching a sign that said 'Extremely dangerous" path to follow. I decided not to proceed, but there are any number of stunningly beautiful, easily accessible beaches just minutes away. Highly recommended! We were wowed by our luck at finding this place. Simply walking in and seeing the ocean was a beautiful experience every time. So quiet and peaceful for the entire week. Highly recommended. The location and the view from this rental was absolutely perfect! AC was not needed as the ocean breeze took care of that. It was cleaned and stocked with paper goods when we arrived. The condo itself is very basic, and has the minimum of what you might need for your entire stay - we did run out of paper towels and toilet paper before the end of our stay. Also, geckos would get in through the window screens towards the night time, so we kept the windows closed for the most part and had to catch and release a couple. The couch wasn't very comfortable for two people to lounge on, but luckily we really only used the condo to sleep and shower. 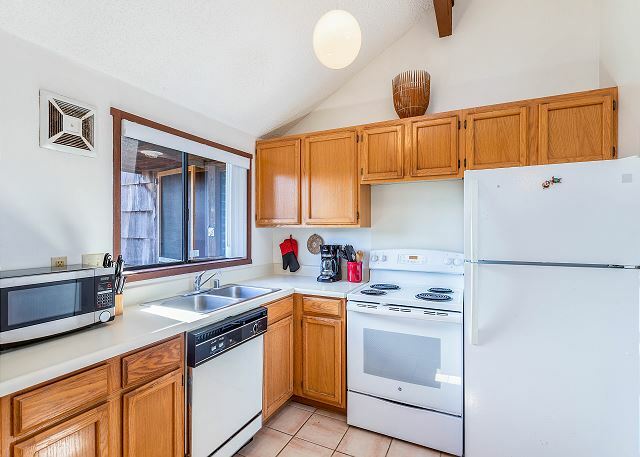 Overall, it was a great location and had amazing views of the ocean, maybe could use a little bit of updating in the rental itself. This condo is right on the cliff over looking the ocean. The condo is simple, clean, quiet and the price is right. I would definitely stay here again. calm and peaceful location at the end of the complex. Great view and lovely accommodation although a few things could be updated, especially in the kitchen. Also the THE first time I have travelled without shampoo, there was no shampoo and manager said they don't offer it. Linens were good quality though. A7 was "A1" as another guest in the guest log put it. gorgeous view and lovely lanai as pictured. Wife and I weren't crazy about the carpets, but the location and the attentiveness of the Manager made it all worth it. Wouldn't change a thing about our stay, as it was a lovely home to come back to after long hikes, snorkeling, exploring, etc. With so much to do all over the island, we'd stay here again when we come back! The location was perfect, the giant windows all along the unit gave you a million dollar view. You could easily spend more time staying in than going out like you should because of sitting and watching the ocean from the comfort of the dinner table. The unit when you first arrive is quite stuffy and humid, but once you open up all the windows the beautiful constant breeze cleans up the air and it’s all good. The unit furniture is definitely tired and the apartment could use an update, the balcony was a bit sketchy at first with these faux outdoor tiles that sagged a bit in the middle but I got used to it. The bed was very comfortable and we slept really well with the constant breeze and sound of the waves. Lorie was wonderful and very helpful with any questions. We were definitely sad to leave when the time came, would definitely stay again. We booked this unit for our 25th anniversary trip to the island and we were so pleased with our stay. The north shore is lovely and we loved the location of SeaLodge, as it is perched atop the bluff overlooking the ocean. The unit in general was great, had the basics and served our needs, though the general décor was a bit dated. The lanai was in the perfect spot to watch the sunrise (even if most of our days there were too cloudy to see it) We were disappointed to see that so many things on the north shore were still closed due to the earlier flooding, but we really enjoyed Tahiti Nui and the Saturday morning Farmers Market in Hanalei. We had to drive to most of the activities on the island, we enjoyed Kilauea Lighthouse, Waimea Canyon, lots of hiking and scuba diving, but were glad we chose the quiet side of the island. We walked down to SeaLodge Beach and Queens Bath and used the trail along the golf course to run on several mornings. Just a heads up, this unit has NO extras in the kitchen (typically we will at least find salt, pepper, basic spices, etc left from previous renters) so plan on needing to purchase those when you grocery shop. , luggage and supplies was not a problem. Laundry was 1st level below the unit. 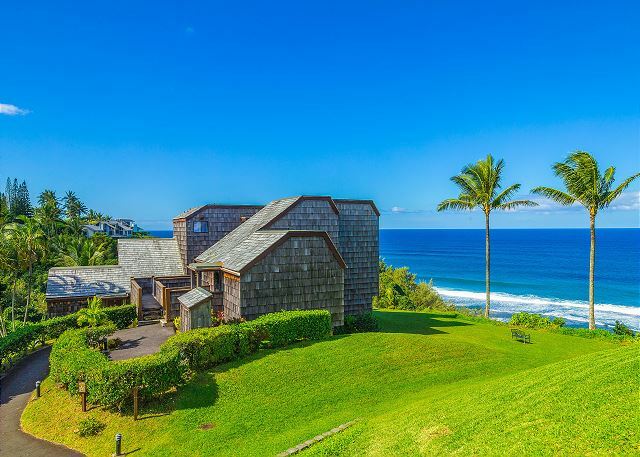 Sealodge is perhaps the oldest property in Princeville, so if you are looking for a modern, high polish facility, look elsewhere. But they chose this site for a reason: it has an incredible microclimate (ie less rain, more sun), an incredible oceanfront vista, flow-through ventilation. and is set far from the continuous roar of weed trimmers, mowers, chain saws and blowers that plague Princeville in general. We enjoyed this unit for three weeks and would definitely return. The unit is clean, the bed is excellent, the TV is small, the wifi works well, the toaster is very hard to make work, the pots and pans are excellent, the utensils & flatware are a random Goodwill hodge-podge. Due to the nice airflow, it would be good if the window screens were cleaned regularly; the screens can slide open for an unobscured view. I would not recommend this unit for active children or unsteady adults; it would be very easy to fall out an open window. This property was perfect! My husband and I visited Kauai for our honeymoon and it had everything to make the stay comfortable. The view was amazing and we really enjoyed how much privacy we had... Lorie was available to us when needed but other than that, we never saw or spoke with her. I had the most amazing time staying at SeaLodge (A7) the views took my breath away. I never made it down to the beach below but heard it was a nice. The condo was well appointed with everything one needs. The location is absolutely perfect for viewing the ocean and listening to the ocean waves. We were there in March and saw whales make there way east. There are a few steps to get to the condo but we felt it was worth it. During the booking process, our agent Mandy was especially attentive to our questions. The view was everything with this condo. Watching the whales every morning, listening to the beautiful songs of the birds, and the sunrise,sunsets right off this deck is truly amazing. The condo could use a bit of updating but was very clean upon on arrival. The complex it self is vey quite but also could update their barbecue facilities to propane. Booking the condo was very easy thanks to Mandy. She truly made it easy with all the instructions emailed to us prior to our arrival which made the vacation relaxing right from the start. Just beautiful! Peaceful and relaxing! 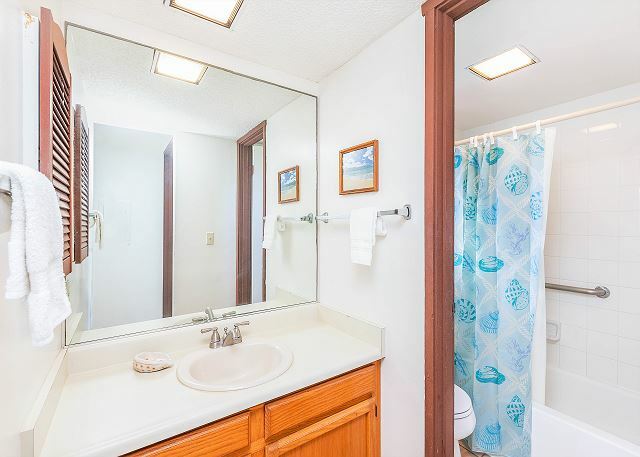 Perfect location, clean, everything we needed, and more. We had a very positive experience. Love the cliff views for each room in the apartment and the greenery around the condos The space was well-appointed. It worked really for us. As noted in the description, the walk to the beach is a short but difficult hike each way. We drove to the many beaches around the island. The unit upgrades are nice. They stay was perfect. We will be back soon. Pu'u Poa next time. The condo is beautifully located on a cliff overlooking the ocean. Amenities were great as well. Falling asleep to nothing but the sound of crashing waves was the highlight of the trip. Nice, stylish Condo with a amazing view to the sea!! Real nice location in a quiet sourrounding, well equipped condo with a stunning view from all rooms to the sea. A Recommandation to everyone, wo wants to have a real relaxing time in short distance to the ocean breeze. We had a great stay in Sealodge A7. The unit was very clean and quiet and comfortable and well equipped. The views are amazing. There was a very big swell during our stay, which made the views even cooler. Lots of whales. The path leading down to the beach was challenging, but worth it. We would come back here in one second!! Mahalo for a wonderful vacation. North Shore Kauai is the best. Absolutely beautiful view. A nice place to enjoy the ocean view. The view from every room was excellent. The unit met all our expectations. We would definitely recommend the unit and the management company. Nice affordable condo in Princeville. This is a very beautiful place and very quiet. Great views of the ocean from every room.We would love to stay here again and recommend it highly. Pour sa localisation, directement en contact avec la mer et le vent. Pour la tranquilité, l'accès à la plage et les commodités. We were pleasantly surprised at what GORGEOUS views this condo had! 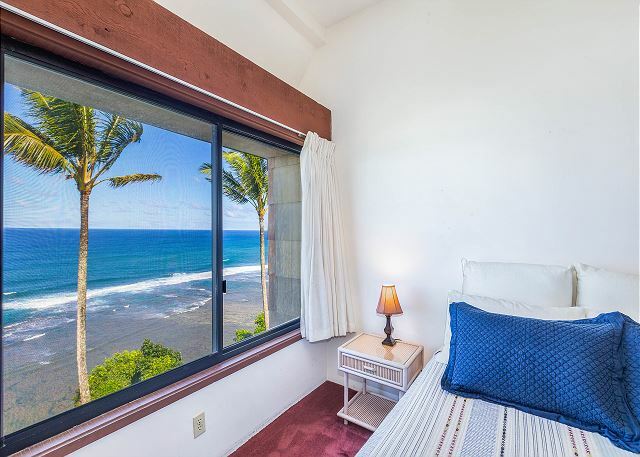 Ocean view from bedroom, living room and lanai. It was also very clean upon our arrival. This was an awesome rental experience! The view and accommodations were exceptional. Will stay here again !! We had a wonderful time. The unit suited our needs and the view was spectacular. Everything we needed for the beach was in the unit. We donated an umbrella for those, like myself, who can not sit for hours in the sun. the entire process from reservation to check out was easy. Lori was prompt in replying and was very accomodating. The views were amazing, always fell asleep to the sound of the waves and we also saw a couple of whales. the property itself is in a quiet location and very close to several beaches. I am already planning on coming back. We thoroughly enjoyed our time at Sealodge A7. 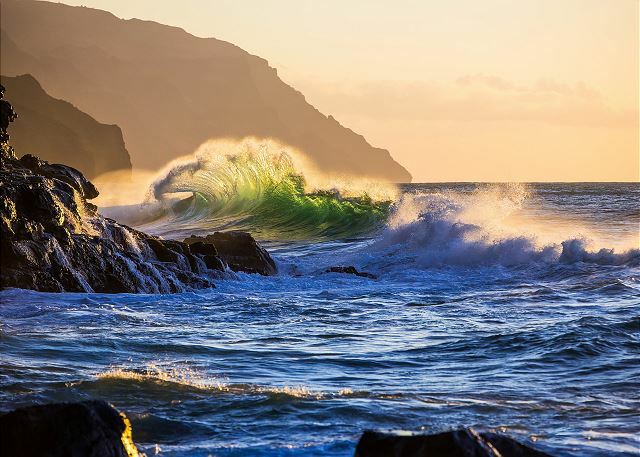 It's away from the crowds and allows for great views of the ocean and the storms. We loved the deck at ate meals out there, enjoyed our wine out there. The kitchen was very complete and allowed us to cook all our meals there. We'll be back to Sea Lodge A7! This was a cozy, comfortable and quiet place. We really enjoyed it. Again this was an excellent visit. I love the location of Sea Lodge A-7. 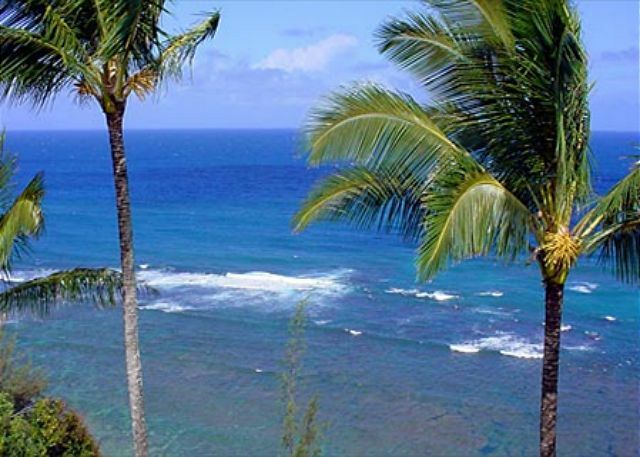 It is one of a kind for the views sights, sounds and smells of the sea and trade winds. The only one so close to the bluff and tree level. We really enjoyed the rental as well as the location - we would recommend it in a heartbeat and hope to go back sometime soon! Great view, very quiet and private unit. The good news: Hanalei Bay is so close and so perfect that in the end he was happy we'd found Sea Lodge. Thanks to Lori for all her help and to the condo owners for sharing their place with us. Wonderful view!!! 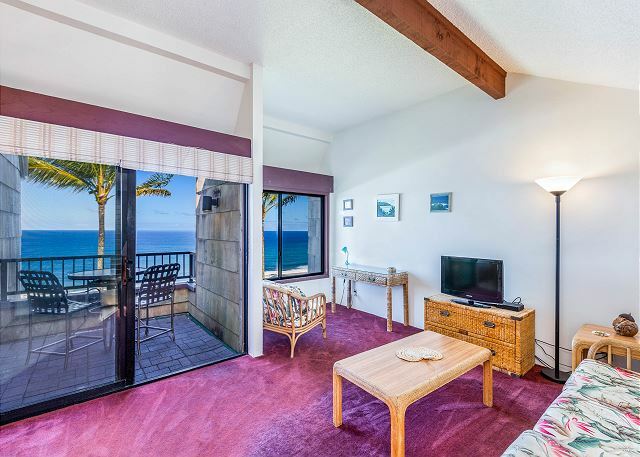 Cute complex right by the ocean, perfect location, great snorkeling beach, great surf spots close by...Definitely the place to be on the north shore. Would go back anytime!! Happy with A-7. Basics provided. Economical. Great view! Quick and easy to book. All costs were communicated up front. All needed info was provided in advance. No problems. Great views and comfortable surrounding. If you want to relax this the place. Selection of places to eat very limited and location is a bit isolated from many activities. Be prepared to drive a lot. Perfect location, professional management. Very close to paradise. Staying in the complex and the A7 villa was simply a WOW moment for us. Waking up and seeing the whales jumping out of the water, hearing the waves all night, and having a location that was easy to get to and very quite. Thanks for this great vacation. And yes, we are coming back next year. The property and the experience exceeded our expectations. We were very pleased and found the location, convenience, safety very much to our liking. Thanks to staff and owners. The location and view are the big attraction here as well as good value. We would certainly rent this unit again. Beautiful view, comfortable and quiet. We had a very nice stay in A-7, very open and airy, lots of windows, and a comfortable lanai. Best of all we were positioned perfectly to check the surf and wind, and close enough to Hanalei, the Princeville shops, and Lihui to make all our needs readily available. Lori who took our booking was very helpful and nice, many thanks. Uncle Mikey too was conveniently close, his dried fruit is definitely the best I've ever had. There were many other options to choose from in the area, but Sea Lodge is a hidden gem among the throngs of typical rentals. 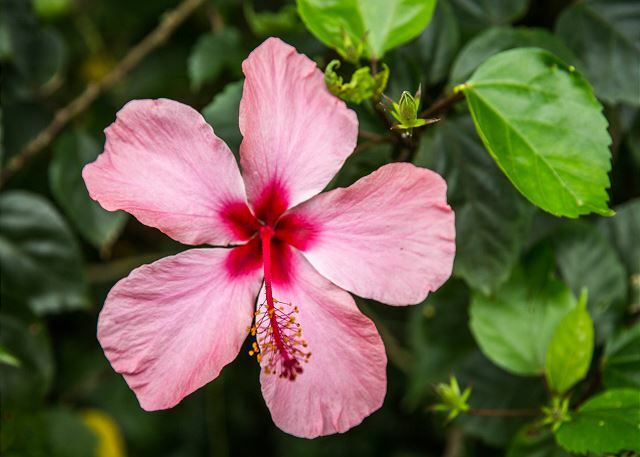 Our unit felt like home with the furnishings, was full of Aloha, and was the perfect place to go home to. Location was very private with a 180 view of the frills but very comfortable. We loved everything about Sea Lodge! From the gorgeous ocean views, the full kitchen, open floor plan, and even beach chairs, we could not have asked for more. We will be back!